AxelMe » Dan and Hazel: What Should We Duplicate? 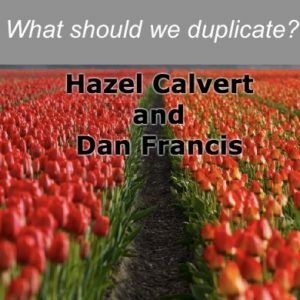 Dan and Hazel: What Should We Duplicate? Dan Francis and Hazel Calvert recap our latest San Diego Convention and help us understand which actions an entrepreneur should duplicate and when they should celebrate their individuality.